Cigars, Gadgets, Scotch, Software, Poker, and more Gadgets. It's my Man Cave. Google's new Lens Blur feature on Android is amazing. I received the updated camera software on my phone yesterday while I was playing with my dog at the park. I ignored the new feature thinking it was just a goofy gimmick. But then this morning I read the details about Lens Blur on Google's blog, and now I can't stop playing with my camera! This is so neat! In fact, I think it's so much fun I took a photo of a miniature traffic scene on my desk at work. Using the Lens Blur tool I was able to repeatedly manipulate this photo and change both the focal length and aperture size. The simple animated slide show just below is the result. 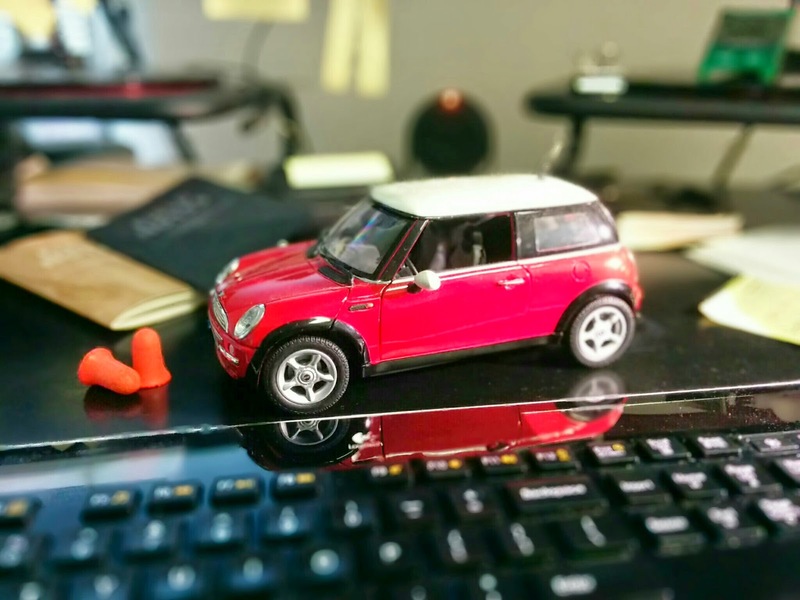 One photo is focused on my keyboard, the second is focused on the car, and the third is focused on the far background. We experienced an earthquake yesterday (March 17) here in Los Angeles at 6:25 am local time. The intensity map below shows it was centered just a few short miles from my house. 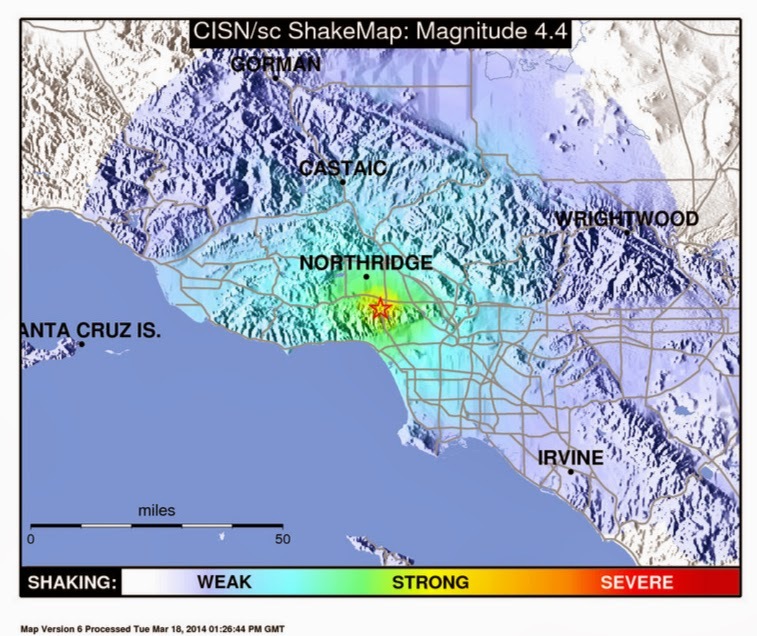 See the official USGS event report for technical details. We survived the ordeal without personal injury, but there was some unfortunate property damage. The photos below show the graphic details. 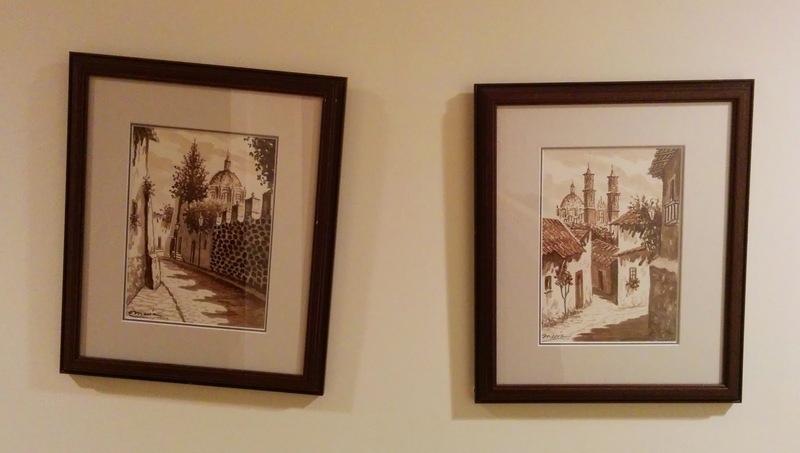 There are so many crooked picture frames! 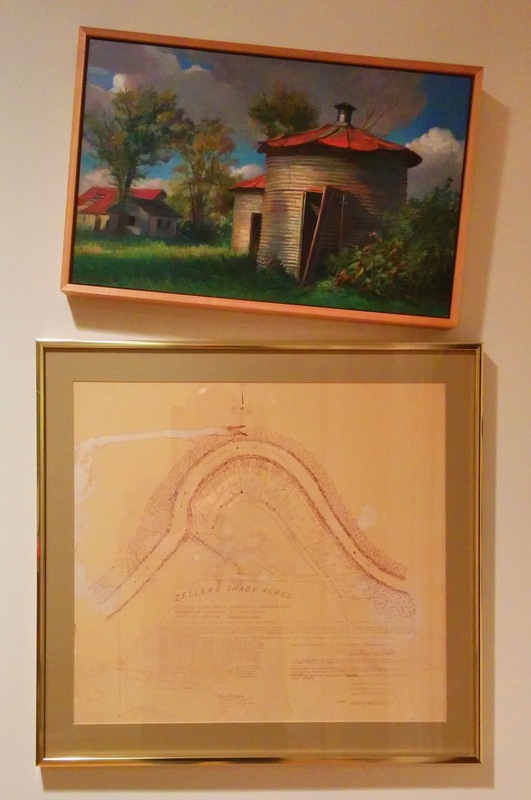 I managed to straighten just one of the framed paintings last night. The the others will have to wait. 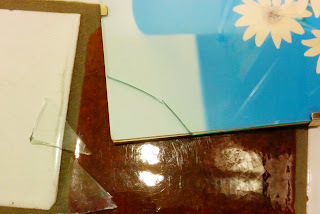 We are now directing all resources to the broken glass situation. Never forget. I came across a fun game last week and it's so fun I can't stop playing. All the action takes place on a four by four grid system. Here's an image of it just below. The idea is to merge tiles having identical numbers to form their sum. Number tiles are moved around using the keyboard arrow keys. When you hit the Up key, all tiles slide upward as if gravity were pulling them in that direction. When they halt at their new position, if a 4-tile were to knock against another 4-tile, those two tiles combine into a single 8-tile. After each move, a new 2-tile is added to the board at a random location. 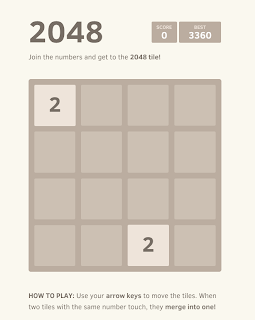 The primary objective of the game is to repeatedly manipulate the tiles such that you create a 2048-tile. Copyright www.SmokedBits.com. Powered by Blogger.